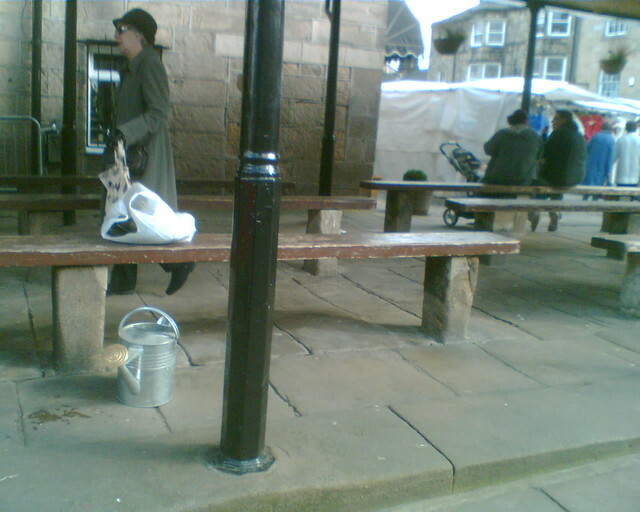 It’s an old market place with wooden seats held up by good Yorkshire stone supports and floor and cast iron stanchions holding up the roof. As you can see we also purchased a galvanised watering can, Jane was fed up with plastic ones that go brittle in the sun in the greenhouse. Bought “Forgotten Household Crafts” by John Seymour (the conservationist and self-sufficiency advocate) in an Oxfam shop second-hand. I wasn’t aware the craft of home brewing was forgotten, certainly not in our house, although the brewing goes on hold at this time of year for 40 days. It’s a good old town is Otley, we bought vegetables in the market in the road along Kirkgate. 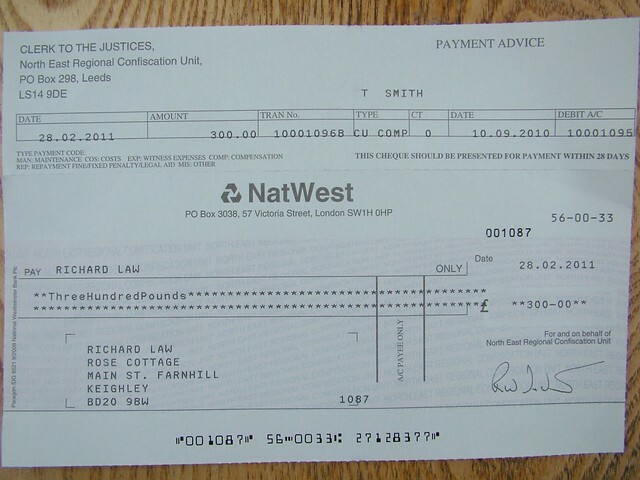 A payout for my uninsured losses when my Land Rover was stolen in 2009. Also yesterday I turned a few whistles for stock. The fipples need trimming and then the mouthpiece cutting back, one’s even a Swanee whistle! You may have noticed a change in the blog style. I’ve adopted a theme I first saw in use on Andy Coates’ Site, it’s called Duster and I like it’s clear feel. It also allows a bigger picture in posts. I’ve managed to do some cascading style sheet editing and changed the font. This is Angie STD Sans by Porchez Typofonderie I like the clarity of this font too, it says here: “Angie Sans is a low contrast incised sans serif family which was issued one year before FF Angie (won a Morisawa awards in 1990) published by FontFont in 1995. Legibility is improved by keeping letter shapes open and distinct from one another.” I am working towards moving my URL Flying Shavings from my website to this blog and adding an electronic payment system, the shop page is now being developed. Watch this space! This entry was posted in Days off and tagged Angie STD Sans, Butter Cross, stone, watering can, Weegmann, wooden whistles by Flying Shavings. Bookmark the permalink. 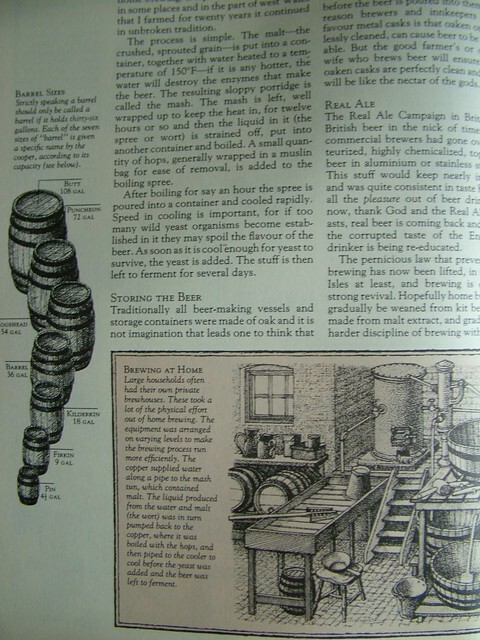 The pictures are very clear and the size is also an improvement, however, on my screen it’s difficult to read the text. Will you be providing your blog readers new prescription lenses with your updated font? Sorry about that. It looks OK at my end – I’m investigating. Hello Richard, the site looks good (but then I would say that, wouldn’t I? )…but the text is blurred for me to (on IE 8). Even the pie bag looks good enough to eat. Hi Andy (& Tico) I’ve done a temporary fix on the font front, hopefully the new one works better than the last one. I don’t particularly like it but should allow Windoze users to read what I’m writing until I find one I like and which works cross platform! The new layout looks great. 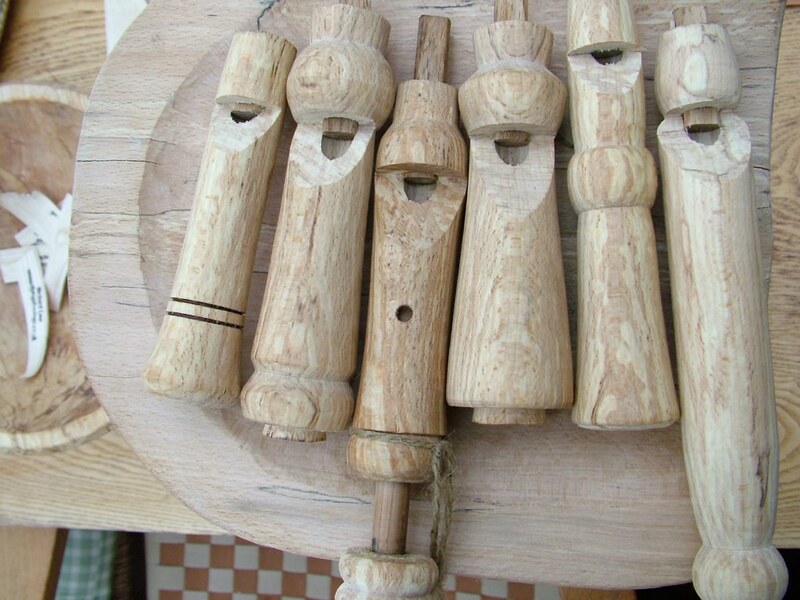 Like the turned whistles – what wood is it? My Dad swore that the pies from a butchers in Pately Bridge were the best in all Yorkshire and used to love one with mustard and a cuppa tea. There are many fine pork pie establishments in Yorkshire. The best one used to be The Celebrated Pork Pie Establishment (AKA Stamforths) in Skipton. I think they’ve suffered from their success and deteriorated from their pinnacle,n ot enough meat! 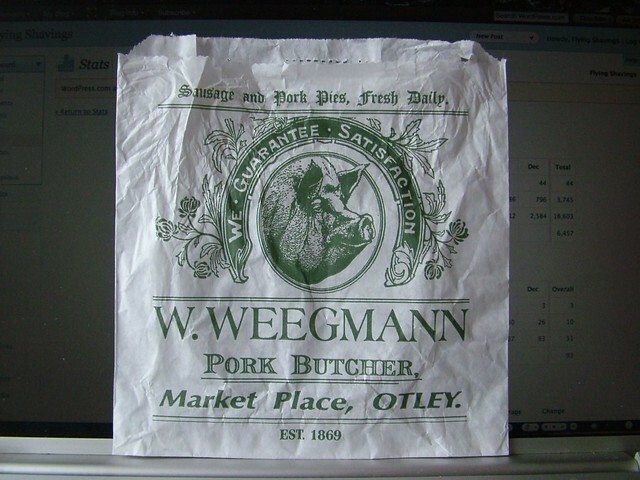 Porky Weegie’s are VERY meaty though. I guess everyone has their favorite pie man – vive la difference! The wood is spalted beech. It’s 2009/10 Winter felled and has been kept covered. Still plenty of nature in it, but rather nice patterning huh? Hi Richard – text looks good (almost as good as mine – ok only joking), I am using Firefox. I’m still stuck on the basic system and I guess I should upgrade. Great post though with lots to think about. I like the whistles. very nice range. I’m salivating over the pies already, especially after Robin mentioned the mustard. If you can sort out an electronic payment system I shall be very interested.